Takayama is a great place to enjoy Japan’s fall foliage. Here, I’ll introduce the best foliage-viewing spots in Takayama. 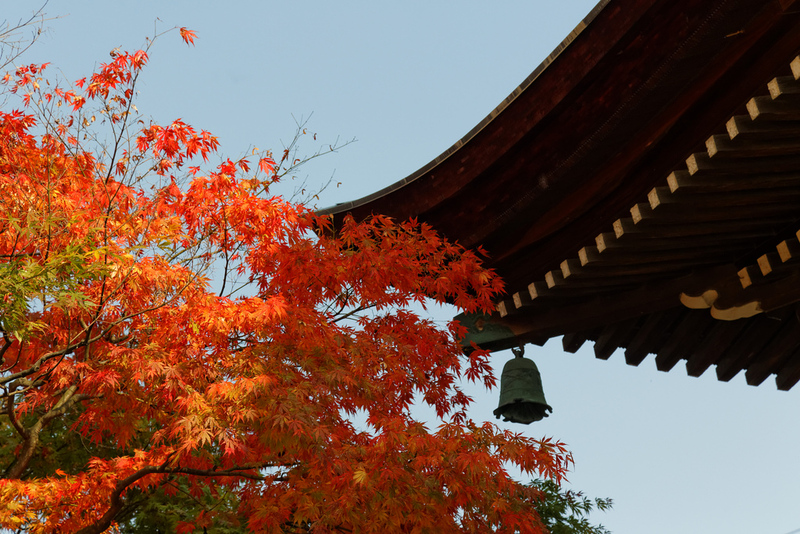 When Is Fall Foliage Season In Takayama? In an average year, the leaves start changing color sometime in early October in Takayama. The peak of autumn color usually comes in early to mid-November, and you can usually see colors on the trees until early December. Thus, in an average year, the foliage season in Takayama lasts from October 1st to December 1st, with a peak around November 1st. Note that if you arrive in the city before the colors are working, you can head up to the nearby mountains to enjoy the colors (for example, in Kamikochi). 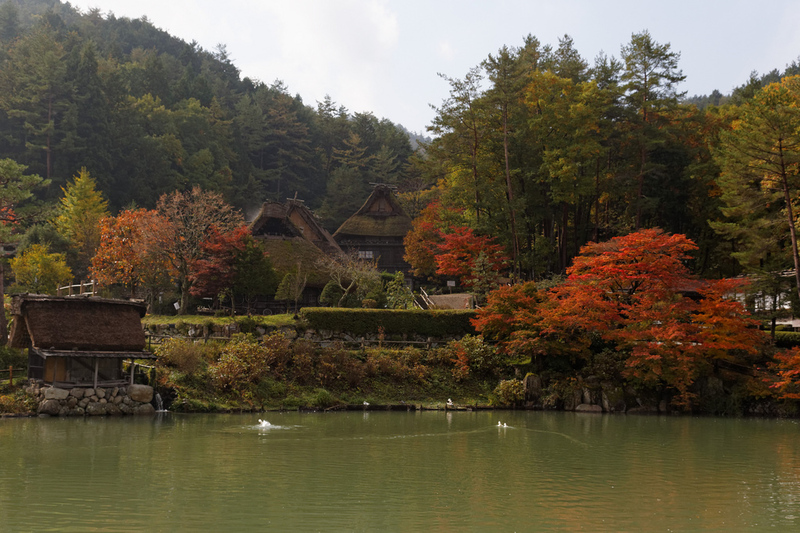 Here is our list of the best fall foliage spots in Takayama. 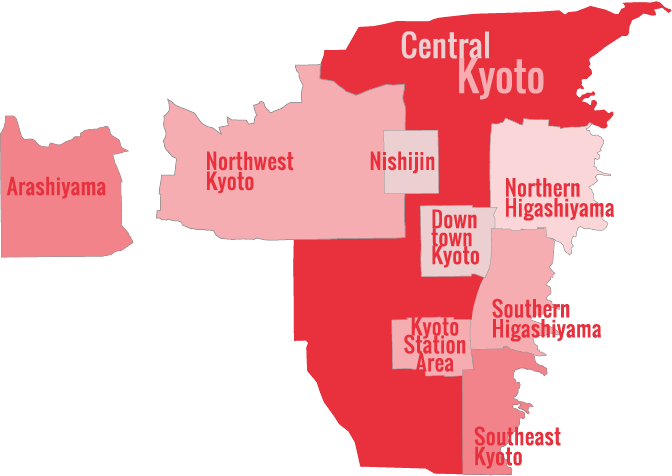 For more details on these places, visit our Things To Do in Takayama page. Hida no Sato: This superb park-like open-air museum of traditional Japanese houses is easily the best place in the city to enjoy the autumn colors. The thatch-roof houses look fantastic when framed by crimson maple leaves. Higashiyama Walkway: This walking course on the east side of the city allows you to enjoy several temples and some beautiful maple trees, as well as the occasional view over the city and the surrounding mountains. Kamikochi: As mentioned above, if you arrive in Takayama before the leaves are really working, consider a day or overnight trip to the mountain sanctuary of Kamikochi. The leaves turn a few weeks earlier here and you can always climb higher to chase the autumn colors if you’re really early.